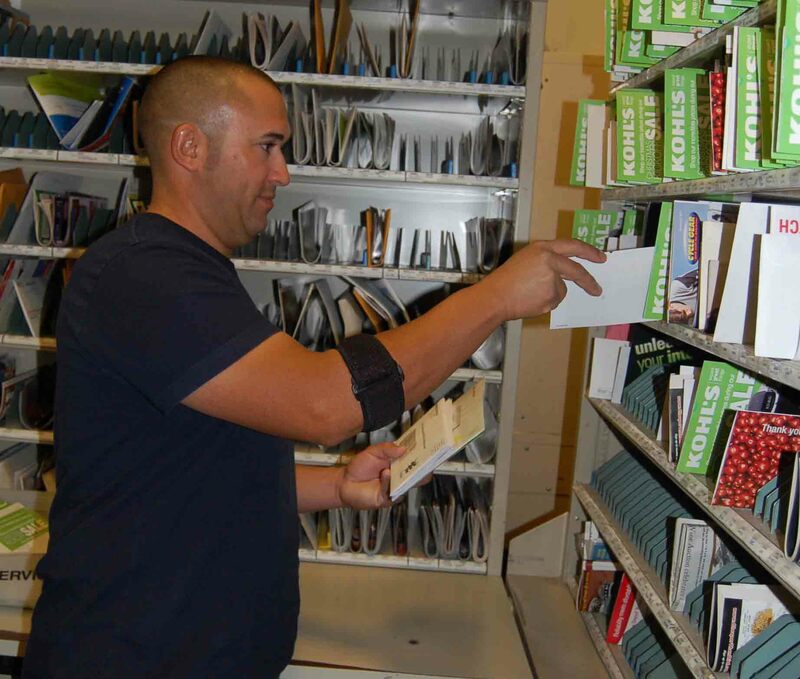 Left: Crestview, FL, Rural Carrier Associate Anita Fee prepares the mail at her case before leaving for the street. Fee is able to do on one leg what many people find difficult using two. Right: Twin Cities Public Television videographer/producer Maria Bartholdi attaches a portable microphone onto the coat of St. Paul, MN, City Carrier Georgia Ramin (right), who is the subject of a profile for the award-winning weekly arts TV series "Minnesota Original." Two strong women who are passionate about delivering great customer service are profiled in this episode of Your Postal Podcast. First you'll hear the story of a St. Paul, MN, employee who enjoys the important role she plays as a letter carrier by day, and is being featured on a local TV show because she also serves as the lead singer in a rock band by night. Next you'll meet a Crestview, FL, rural carrier who is able to deliver the mail to her customers despite having only one leg. Click here to read the transcript of this episode. Click here to leave feedback or a story idea. You can also access Your Postal Podcast on your mobile device at YourPostalPodcast.com/mobile. Left: Ketchum, ID, Postmaster John McDonald poses with TV Batman Adam West outside the Ketchum Post Office. Right: Winthrop, WA, Rural Carrier Dori Blackburn rescued a cat on her route after a dog's persistent barks for help. The original TV Batman swings into the latest edition of Your Postal Podcast. Adam West, who played the cowled crimefighter on the Batman TV show in the 1960s, drops by to weigh in on the Batman Forever Stamps now on sale at Post Offices nationwide and also discuss the fan mail he continues to receive at his Idaho home. Next you'll hear about a Washington rural carrier's unusual rescue of a trapped cat -- accomplished with an assist from a friendly canine. Thanks for listening to the podcast. Click here to leave feedback or suggest a story idea for a future podcast. Listen to Your Postal Podcast on your mobile device at YourPostalPodcast.com/mobile, or search "Your Postal Podcast at the iTunes Store. 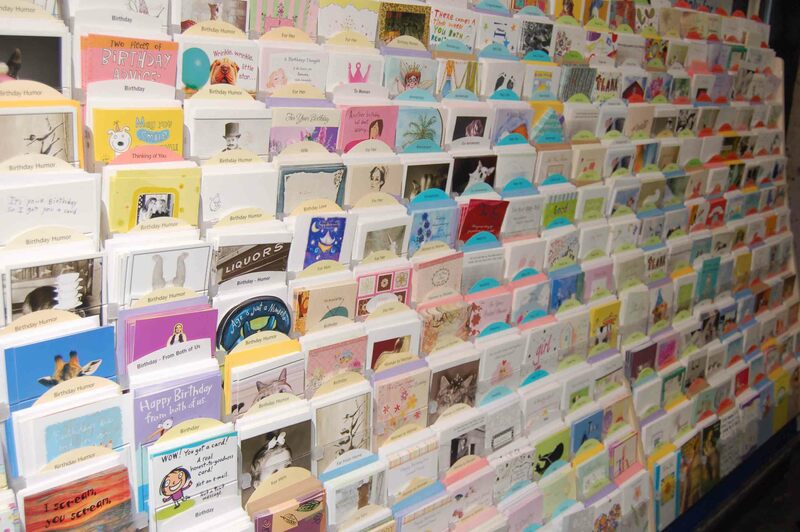 People have long used greeting cards as a means to share important emotions -- but how are they faring in this era of declining mail volume and electronic communication? This month's edition of Your Postal Podcast provides some answers, thanks to Susan January, head of the Greeting Card Association of America. You'll also hear the story of an Arizona letter carrier whose recent act of honesty didn't go unnoticed. The podcast also features a roundup of the latest Postal Service news. For a transcript of the latest program, please click here. Please click here to share your comments or ideas for future podcasts. And don't forget to check out www.YourPostalBlog.com for more frequent news updates. Bottom photo: Tucson, AZ, Rural Carrier Brian Cota at his letter case. What can tumbling tumbleweeds do that wind, nor rain nor heat can't? Listen to this month's edition of Your Postal Podcast to find out. This month's podcast also follows a posse of Pony Express riders on a mission to deliver the mail, and you'll hear the latest news on changes on the horizon for the U.S. Postal Service. For a transcript of this month's podcast, please click here. Comments, questions and story ideas for the podcast are always appreciated -- click here to share yours, and thank you for listening. 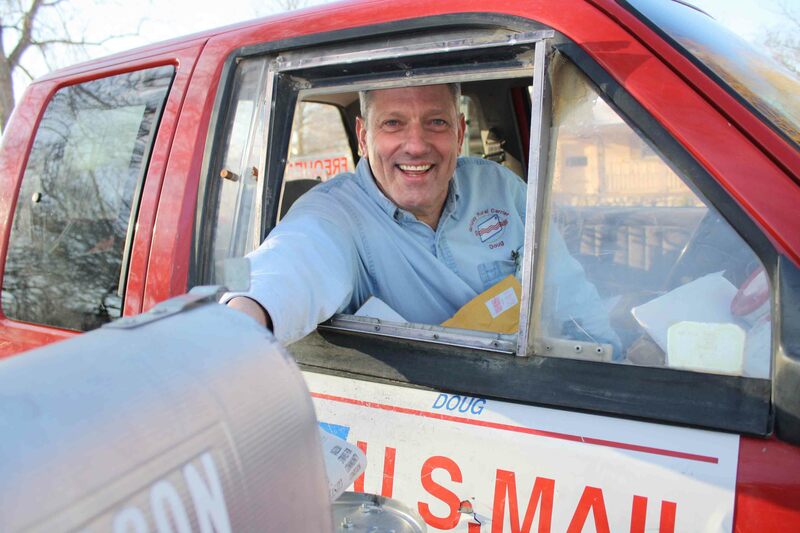 For more postal news, go to yourpostalblog.com. Photo left: Chino Valley, AZ, Postmaster David Hyslip stands in front of a mountain of tumbleweeds. 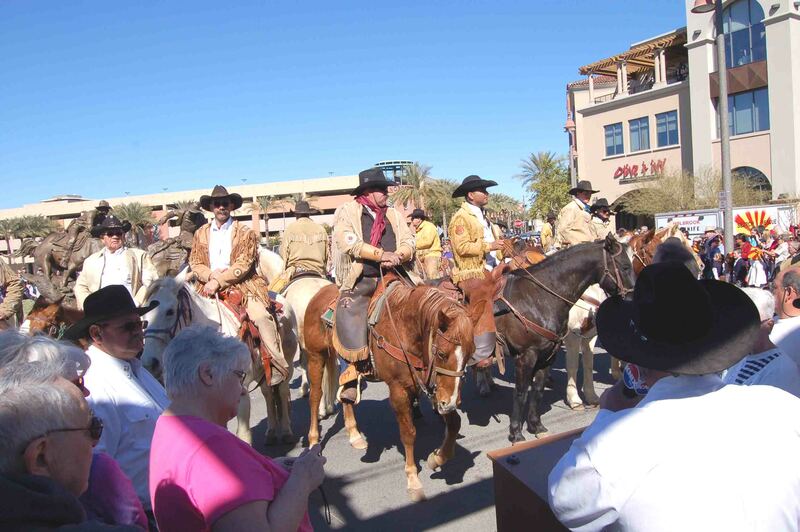 Photo right: Hashknife Pony Express Sheriff's Posse arrives in Scottsdale, AZ. Click here for the transcript to Your Postal Podcast #34. To submit a story idea, please click here. Hear how a renowned Florida artist creates the tiny stamp designs that grace millions of envelopes in this month's edition of Your Postal Podcast. You'll also follow a Kansas rural carrier on what is now the longest rural route in the nation. You'll also hear about Forever Stamps as well as a roundup of the latest postal news. 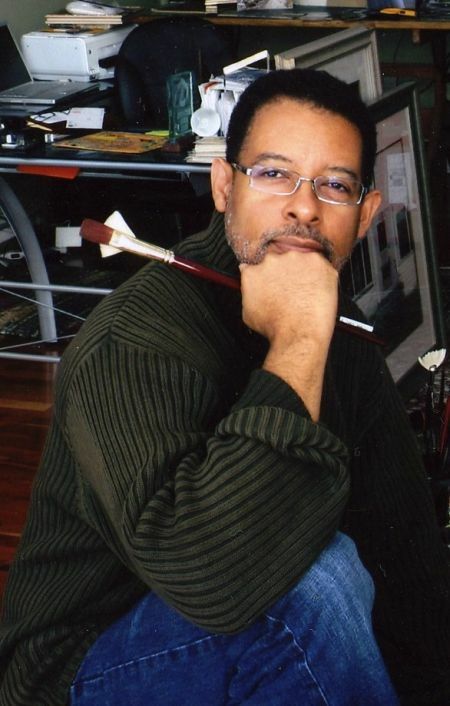 Photo left: Dean Mitchell's artwork has appeared on several postage stamps, including the recently released Kansas Statehood Stamp. Photo right: Of the more than 74,000 rural routes across America, Gridley, KS, Rural Carrier Doug Kraft's route is the longest. Click here for the transcript to Your Postal Podcast #33.